The 52nd Annual Canadian American Days Celebration (or Can-Am Days) is well under way here in Myrtle Beach, South Carolina. The nine-day celebration kicked off March 9 and will continue through March 17, welcoming Canadian and American visitors with a lineup of fun events, giveaways and concerts taking place along the Grand Strand. One of the best things about this celebration every year is that most of the events are free and open to the public, including the popular concerts by Canadian performers Searson. Be sure to check out a full listing of community events here, we&apos;re confident there is a little something for everyone-either Canadian or local! Why is this a special time of year for us? For starters, there&apos;s a little history that accompanies the festival. 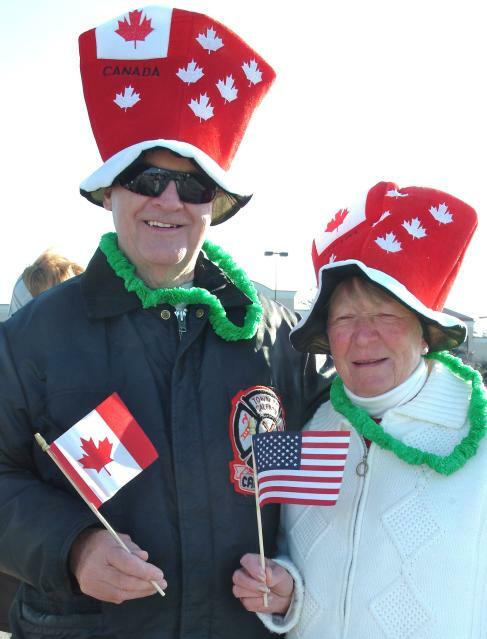 The Myrtle Beach Area Chamber of Commerce introduced Canada Days in 1961 to attract Canadian families during their spring school break. The name was changed to Canadian-American Days in 1963, and it is regarded as the first international festival organized in South Carolina. Secondly, Can-Am Days draws as many as 100,000 Canadian visitors and snowbirds to the Myrtle Beach area during a non-peak travel time. So here&apos;s to Canada and all our snowbirds... we do love you so!